1. Connect Bible studies to the gospel. Not every Bible study you lead will beat a path to the cross. One way to share Christ’s offer of forgiveness and eternal salvation is to build a gospel presentation into your Bible studies. Should you do that every time your group gathers? Maybe. Let the Holy Spirit help you decide that, but be ready any way. The Bible is full of natural ties to the cross. On the road to Emmaus (Luke 24ff), Jesus (in post-resurrection form and unrecognizable to two disciples) explained the gospel to them starting with Old Testament passages that were messianic. He detailed how the OT Scriptures pointed to His sacrifice on the cross. The two disciples hadn’t yet connected what the Scriptures clearly present about Christ to Jesus atoning sacrifice. Jesus made the connection for them, and you can do the same as you teach. If your Bible study doesn’t have a built-in connection to the cross, it’s fairly easy to make a legitimate one. 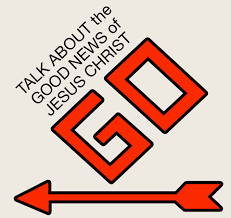 You don’t ever want to force the text to say something it doesn’t, but finding a creative way to present the gospel will become easier with practice. 2. Serve in Jesus’ name. I recently led my Bible study group to participate in two different ministry action days. We wanted to put feet to the gospel, rather than just talking about it in our Bible study group. On two occasions, we served people in our community by providing manual labor at one non-profit that feeds and clothes people, and by providing a meal to about 20 people at a homeless shelter. While we could have done these things simply to help out, I made sure the directors of those two organizations (and the people we served by participating) knew that we were at those places in the name of Jesus, serving them because He first served us when we had a great need…the need for forgiveness. By talking about why our group was motivated to serve, it gave us opportunities to interact with people and to talk about the gospel. No group should serve just to serve…serve in Jesus’ name and take the gospel with you as you go. 3. Practice. You’ve heard the saying, “Practice makes perfect.” When it makes sense and it fits one of the Bible studies you lead, incorporate a little practice time into your Bible study session. Have your group members pair up and present the gospel to one another in turn. Give them a safe place to think through what they’d say to another person as they explain the gospel. Afterwards, allow them a few minutes to debrief and evaluate each other’s gospel presentation. Was it clear? Did they use “churchy words” or words the average person won’t trip over? Were there any rough spots and unclear things said? Was what they presented accurate and in line with Scripture? Do this a time or two, and you’ll help your people be better prepared when the Lord gives them a real opportunity to talk about Him to someone else. They’ll recall their experience in your group and will call on that practice to help them present the gospel for real.